Nigeria’s High Commissioner to the United Kingdom (UK), Dr Dalhatu Tafida, yesterday visited the London home of Oba Okunade Sijuwade, the Ooni of Ife, to commiserate with his family on the passing on of the foremost monarch. Tafida said he visited the family, including Oba Sijuwade’s son Adetokunbo, and spent about one hour with them. The envoy condoled with the family on behalf of the Federal Government and told them they could ask for consular support —should the need arise. At Oba Sijuwade’s home were his wives, children and an unnamed traditional ruler from Osun State, according to a source present during Tafida’s visit. If sources who reached out to Secrets Reporters with sensational information are anything to go by, then former Nigeria Minister of Information and gubernatorial candidate, Labaran Maku during President Goodluck Jonathan regime, can be concluded to be one of the richest government appointees that served the country. According to informants, Maku who contested for governor of Nasarawa State but lost immediately started withdrawing all his ill gotten wealth as soon as he lost the guber race, knowing that there will be no immunity to stop the probing. NIGERIA’S economy, which is going through a turbulent period from reduction in oil income, is set to further unravel. Why? The European Union has just suspended some agricultural food exports from Nigeria. The food items banned from Europe till June 2016 are beans, sesame seeds, melon seeds, dried fish and meat, peanut chips and palm oil. This is a setback for a nation that desperately needs to expand its export basket to boost domestic agricultural activities and create jobs. According to the European Food Safety Authority, the rejected beans were found to contain between 0.03mg per kilogramme to 4.6mg/kg ofdichlorvos pesticide, when the acceptable maximum residue limit is 0.01mg/kg. The embargo is a reflection of our inability to adhere to global standards, and this has come to haunt us at the international level again. Overturning the ban requires a firm approach to enforcing standards at all times. 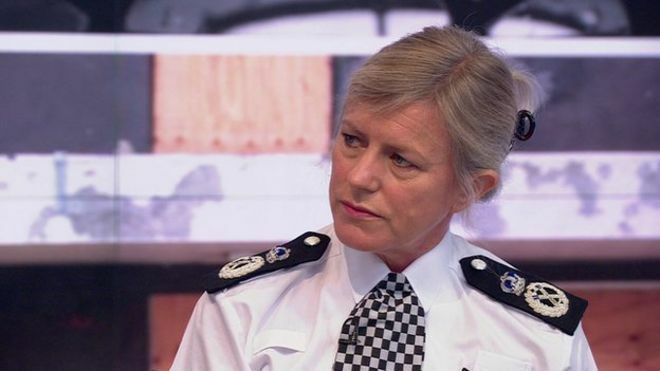 Eight men have been charged with committing hundreds of offences against a 13-year-old girl, including aggravated sexual penetration and sexual servitude. Perth police said 503 charges have been laid by the Child Abuse Squad against the men, who are aged between 35 and 47. The girl's father is among those charged. They said the girl's father arranged for the men to meet his daughter at various locations where the offences were committed. Controversies has trailed the death of the Ooni of Ife, Oba Okunade Sijuade, Olubuse II as the Royal traditional Council of the town, Wednesday said the paramount ruler is alive and in good state of health. The RTC, which comprises of all traditional chiefs and title holders in Ile-Ife said Oba Sijuade is not only in sound state of health but added that the royal father was preparing for son’s wedding holding next week Sunday in Lagos. Ooni of Ife, Oba Okunade Sijuwade, on Tuesday died at age 85 after a brief illness. He passed away at a London hospital. He is survived by four wives and several grand children and grandchildren. The United States of America has handed over the names of Nigerian oil thieves to President Muhammadu Buhari, a member of the President’s entourage during last week’s visit to the US confided in The PUNCH on Tuesday. “I can tell you that the President already has the list of names of the people engaging in the stealing of Nigeria’s oil. The list, when released by the President, will shock Nigerians. But let’s wait and see first,” the source said. 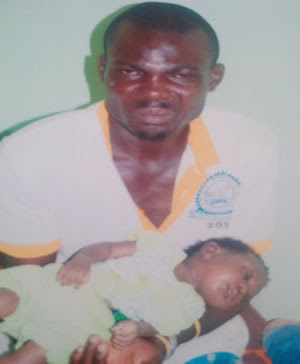 Last Friday at about 7 am, Kazeem Olajide allegedly poisoned his 41-day-old baby,Zainab Olajide, in a desperate attempt to divorce his wife. The incident happened at Toluwalase Estate, Ijoko-Abule, in the Lemode area of Ogun State. It was learnt that the mother, Abosede Ogundare, had left Zainab with Kazeem to sweep the compound only to come back and met the baby with foams gushing out from her mouth. Ogundare alerted neighbours to the incident having found a bottle containing pesticide with her husband. Zainab was said to have been rushed to a hospital in the community, where she eventually died. It was also learnt that the suspect, who hails from Abeokuta, Ogun State, attempted to flee, but was held by residents, while the landlord of the house reported the case to the monarch of the community, Oba Solomon Sokunbi. The father was handed over to policemen at the Agbado Police Division after he confessed to the crime before the monarch. A resident, who identified himself only as Biodun, said Kazeem had been threatening to divorce his wife before the baby’s untimely death. Alayeluwa Oba Okunade Sijuwade was born on the 1st of January, 1930 to a great royal family in the Ogboru house, Ilare, Ile-Ife. The last Ooni of Ife that the Ogboru ruling house presented (before the incumbent) reigned in Ife for many years as Sijuwade Adelekan Olubuse I. He was the first Ooni to venture out of his domain. At the invitation of the colonial Governor he visited Lagos in 1903 to give his ruling on whether the Oba Elepe of Epe was entitled to wear a crown which was earlier refused by Oba Akarigbo of Remo. Oba Adelekan was the father of the late “Omo-Oba“ Adereti Sijuwade, the father of Oba Sijuwade Olubuse II- the present Ooni of Ife. His mother was the late Yeyelori, Emilia Ifasesin Sijuwade. 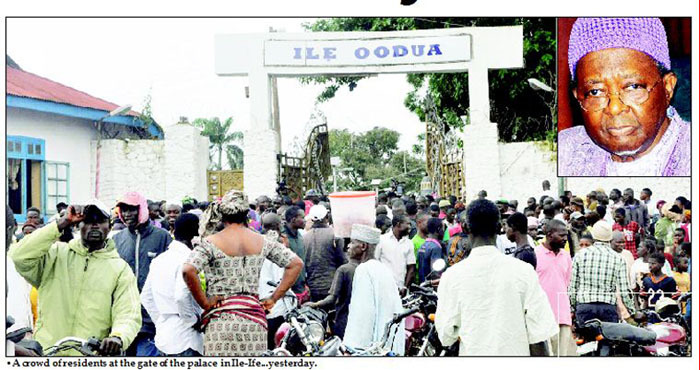 ILE-IFE – Ife Ooye - is a name that was deliberately coined by the founding fathers of the Yoruba Race; as earlier indicated, it was neither a coincidental nor a careless coinage. Its antecedents date to the very beginning. From Ile-Ife according to the Yorubas, the world took off; from Ile-Ife, empires and kingdoms were founded. Oduduwa sent out his sons to found and rule over these empires and kingdoms. The relationship of the rulers of such empires and kingdoms to Ife in the distant past is unclear. Eventually, it came to be recognized that although they had political power over these kingdoms and empires, spiritual power was believed to reside in Ile-Ife, it was this spiritual power that made it possible for them to rule successfully over their kingdoms and empires. The Ooni of Ife, Oba Okunade Sijuwade, has died at the age of 85. Oba Sijuwade, one of the country’s most revered royal fathers and custodian of Yoruba culture, died in a London hospital yesterday after a brief illness. Although, there has been no official statement concerning his death, the online free encyclopaedia, Wikipedia, surmised that he was dead. “Alayeluwa Oba Okunade Sijuwade, or Sijuade (born 1 January 1930 – died 28 July, 2015)”, Wikipedia posted on its site late yesterday. Enquiries at the palace met with stiff resistance as insiders said the death of a traditional ruler cannot be announced until certain rites were performed. Highly placed Osun State government officials were also reluctant to confirm the demise of the royal father. However, there was noticeable apprehension and a mournful mood in the state. 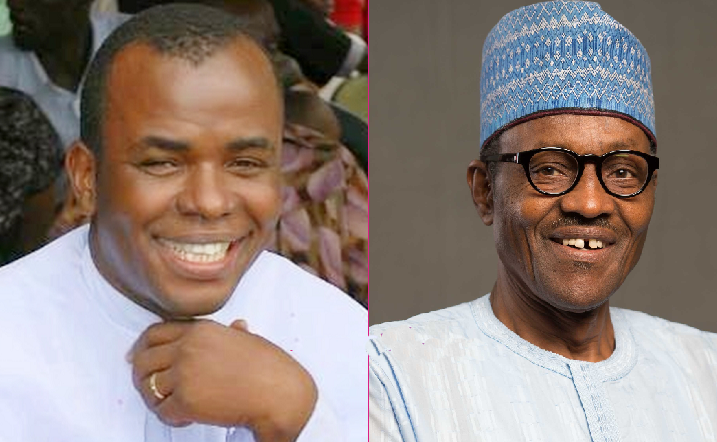 The church had been embroiled in crisis since last year following the leadership tussle between Emeka and Okoroafor. Available statistics showed that the Assemblies of God Church has a population of over 2.6 million members worshipping in over 14,300 churches spread in Nigeria with its headquarters in Enugu, Enugu State. It has planted more than 50 missionaries in nine countries across the world with over 11,650 ministers. 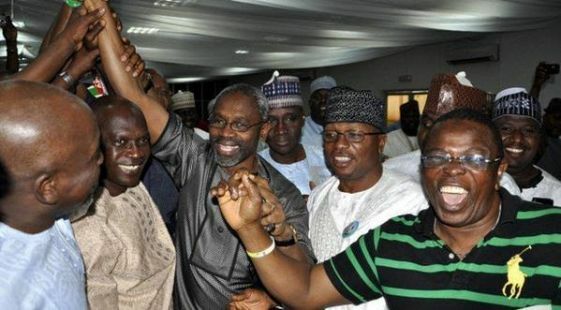 The prolonged leadership crisis in the House of Representatives appears to have been resolved as the member, representing Surulere Federal Constituency of Lagos, Femi Gbajabiamila was annouced the majority leader, in a move likely to help calm a house frayed for weeks by leadership tussle. Mr. Gbajabiamila emerged the All Progressives Congress caucus leader hours after the House leaders met with the leadership of the ruling APC in Abuja. President Muhammadu Buhari has ordered the gladiators in the ongoing crisis in the House of Representatives six hours to resolve all pending issues ahead of the resumption of plenary Tuesday. 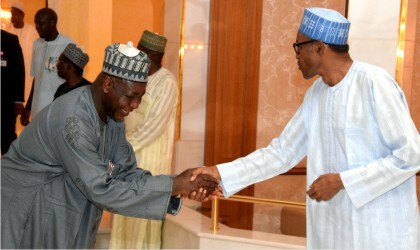 Mr. Buhari met with the All Progressives Congress, APC, caucus in the House at the Presidential Villa Abuja, Monday. One of the members who attended the meeting, which lasted about 30 minutes, told PREMIUM TIMES that the president “did not waste time, but simply reminded members on the need for party discipline”. Senator Gilbert Nnaji who is representing Enugu-East Senatorial District had gone before the court with an ex-parte motion wherein he applied for a restraining order against both the IGP and the AGF. SPEAKER, HOUSE OF REPRESENTATIVES, YAKUBU DOGARA; VICE-PRESIDENT YEMI OSINBAJO AND PRESIDENT MUHAMMADU BUHARI, DURING A MEETING OF THE PRESIDENT WITH APC MEMBERS OF THE HOUSE OF REPRESENTATIVES AT THE PRESIDENTIAL VILLA IN ABUJA ON MONDAY (27/7/15). The prospect of peaceful resumption in the two chambers of the National Assembly today was, yesterday, being clouded by uncertainty despite trouble shooting efforts that were still in the works at press time last night. It was feared last night that should the peace efforts fail, the brawl that smeared the last sitting of the House of Representatives last month could replay itself and spread to the Senate on the resumption of the two chambers today. Edo State Governor, Adams Oshiomhole, on Monday, said the Peoples Democratic Party government of former President Goodluck Jonathan had destroyed the country. 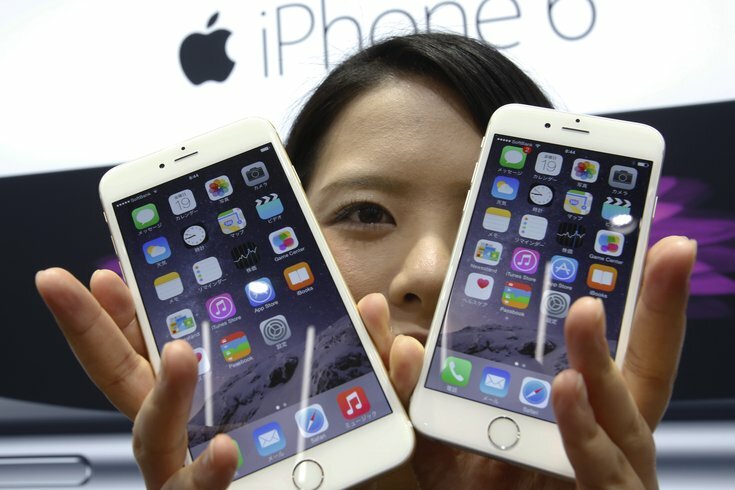 Police in Beijing have busted a factory that produced more than 41,000 fake iPhones worth as much as $19 million, including some that reached the United States, and have arrested nine suspects in the counterfeiting operation. World’s First Malaria Vaccine Mosquirix Approved by European Regulators One Step Closer To Saving Millions Of Lives. The world’s first malaria vaccine has been approved by the European Medicines Agency (EMA), setting the stage for a final assessment by the World Health Organisation (WHO) before the drug can be accepted by countries ravaged by the disease. European regulators approved the first-ever malaria vaccine on Thursday even though it doesn't work very well. And it's not clear how or even whether it will be deployed in the areas that need it most. The approval is a sign of how desperate the world is for a vaccine to prevent malaria, which kills nearly 600,000 people a year, most of them young children. Posted by Reddit user labuzan, this father’s note comically reminds his children that if they do not clean up their mess, WiFi access and mobile phone data packages will be ‘taken’. The note reads as follows: ‘I don’t know who you are. I don’t know what you want. If you are looking for a maid to clean up after you, I can tell you I don’t do that. Why I don't Employ Students With First-Class Degrees, By Lord Winston: Fertility Expert Says "Those that have fallen short of academic brilliance are often better employees"
As one of the country’s leading fertility experts, Lord Winston might be expected to surround himself with the brightest minds at work. But the Labour peer has admitted ‘deliberately’ discriminating against job applicants with first class degrees. Those that have fallen short of academic brilliance are often better employees because they are more rounded individuals who work well in a team, the scientist and The Human Body presenter claimed. Buhari Says "God Made Me, But America Made Me" Also, He Lost A Son And A Daughter From His New Wife. Shortly after the August 1983 military coup that brought a 40-year-old Muhammadu Buhari to power, he received a phone call from top personnel in the United States Army. General Smith was the Commandant of the U.S. War College from which General Buhari graduated in 1980. The school's 1979 set had graduated its first Nigerian, General Wushishi, who was the Chief of Defence in the just ousted Shehu government. The Presidency on Sunday said President Muhammadu Buhari would not stop the prosecution of anybody indicted in the report of the Nigeria Police on the forgery of the Senate Standing Order. The Senior Special Assistant to the President on Media and Publicity, Garba Shehu, said this on Sunday in an exclusive interview with one of our correspondents in Abuja. Shehu said Buhari believed in the rule of law and would not do anything that would derail any judicial process, stressing that those who were constitutionally saddled with the process did not need the President’s clearance to do their job. 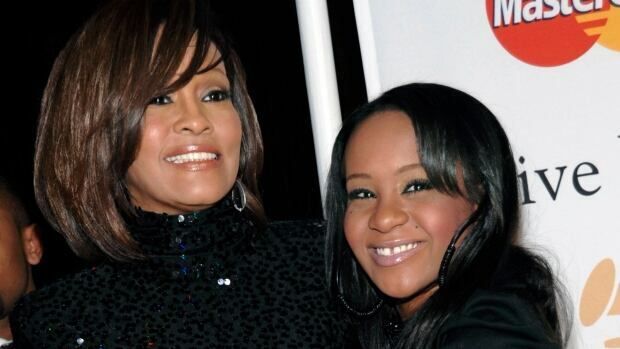 The daughter of music legend Whitney Houston and Bobby Brown passed away on Sunday surrounded by family. The aspiring singer was rushed to hospital and placed in a medically-induced coma on January 31 after she was discovered face-down in the water-filled tub at her townhouse in Roswell, Georgia. She was later transferred to Peachtree Christian Hospice, where her distraught family and loved ones maintained a bedside vigil and eventually said their goodbyes as her condition deteriorated. Bobbi Kristina's death comes just three years after her famous mother, singer Whitney Houston, died aged 48 in a bathtub at a hotel in Beverly Hills, California. With Almighty God all things are possible for the earth is the LORD's and the fulness thereof as written in Psalm 24:1. Tech giant Apple released its quarterly earnings Tuesday and revealed that the giant pile of money on top of which its executives sit has reached a mind-boggling $203 billion. That’s a figure nearly equal to the GDP of Qatar, the Middle Eastern oil kingdom. According to the World Bank’s data for 2014, the size of Qatar’s economy totaled $211.8 billion, edging Apple’s cash pile of $202.8 billion. For a more exact comparison of Apple’s nation-state-sized checking account, consider Peru, with a 2014 GDP of $202.9 billion. Then again, Peru is a country of some 30 million. Qatar is a country of 2 million. 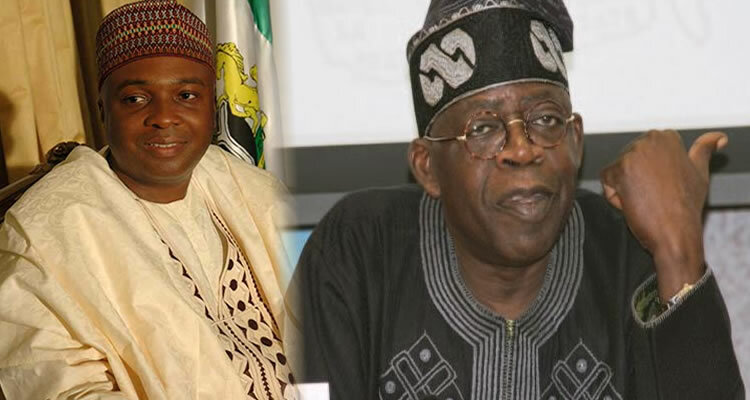 How Saraki Lost Opportunity To Quench Senate Fire - And For Those Who Think That Tinubu's Star Can Be Dimmed They Are Deceiving Themselves. I believe very much in the party supremacy and the rule of law otherwise I have no business being in the senate. As much as I respect the views and choices of my other colleagues, we must also recognise the fact that politics is fluid. When we started, it was healthy to have brothers to compete for a post, someone would emerge winner. The issue of zoning came up but it wasn't resolved and even up until now, it remains a speculation that some governors recommended that the senate presidency must go to a particular zone, but it was neither mentioned nor confirmed up till now. So it was still healthy to have two people from different zones competing for a post. The world's biggest pitbull cuddles up to his adorable new litter - valued at a whopping half-a-million dollars. The eight puppies were fathered by gentle giant Hulk, who weighs in at a huge 12 stone. And even though his owners say his bite could 'snap a man's arm like a toothpick', here he shows off his softer side by nuzzling and licking his new brood. The eight pups could collectively command $500,000 (£320,000) if they go through owner Marlon Grennan’s training school to become elite protection dogs. And there are even hopes one of the new batch could one day grow big enough to steal their father's crown. Three people were killed when a small airplane crashed into a residential area of the Japanese capital, Tokyo, on Sunday, public broadcaster NHK reported, setting fire to houses and cars. Buhari Angry Over How Clerk Gate Crashed Into Ramadan Dinner - When Introduced To Him For a Handshake After The Dinner, The President Said: ‘You, how did you get here? There were indications yesterday that the police might charge the Clerk to the National Assembly, Alhaji Salisu Maikasuwa to court for the alleged forgery of the Standing Orders. Maikasuwa may be arraigned with some staff of the National Assembly suspected of having played one role or the other in the drafting of the rules. Besides the Standing Orders matter, the Clerk is also said to be facing a fresh crisis on how he was selected to be part of a Ramadan dinner (Iftar) with President Muhammadu Buhari while under investigation by the Police. As spokesman to President Goodluck Jonathan, my phones rang endlessly and became more than personal navigators within the social space. They defined my entire life; dusk to dawn, all year-round. The phones buzzed non-stop, my email was permanently active; my twitter account received tons of messages per second. The worst moments were those days when there was a Boko Haram attack virtually every Sunday. 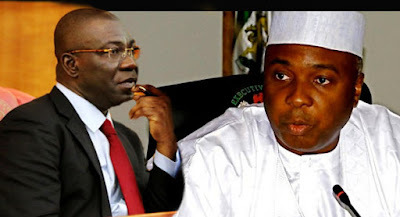 Report from Vanguard newspaper indicates that the battle for the leadership of the Senate appears far from being over as the group loyal to Senator Ahmed Lawan are said to be unrelenting in the effort to impeach Senate President Bukola Saraki and his deputy, Senator Ike Ekweremadu. Lawan was a strong contender for the Senate presidency and was, in fact, anointed by the ruling All Progressives Congress (APC), the party which produced Saraki but with Ekweremadu from the opposition Peoples Democratic Party (PDP). According to Sunday Punch, The Nigeria Police have concluded their probe into the forgery of the Senate Standing Order and given a copy of the report to President Muhammadu. The President received a copy of the report last week, a highly reliable source in the presidency told one of our correspondents on Saturday. The Police report confirmed that the Standing Rules used to inaugurate the 8th Assembly were forged, our source said.